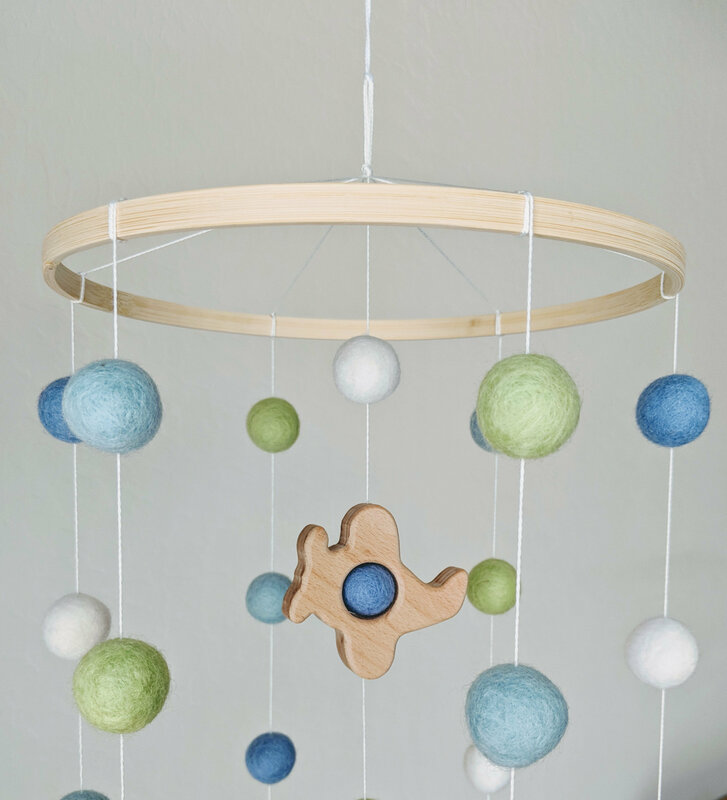 Babies are fascinated with things that rotate and spin; it is a natural developmental process in which they learn about their environment. This is why babies always focus on lights and ceiling fans. A contrast in colors will stimulate their brains as well. 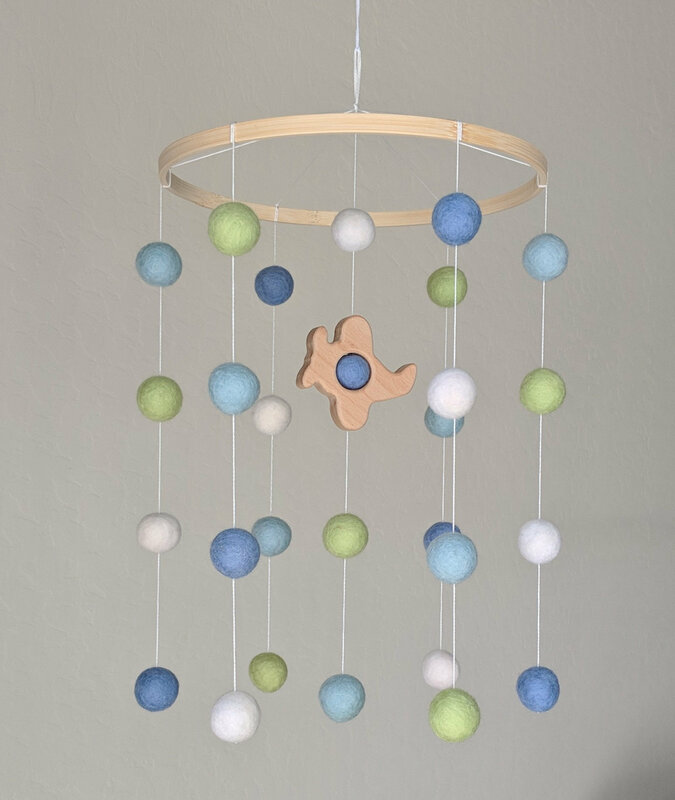 This is why it is important to select the right kind of baby mobile. 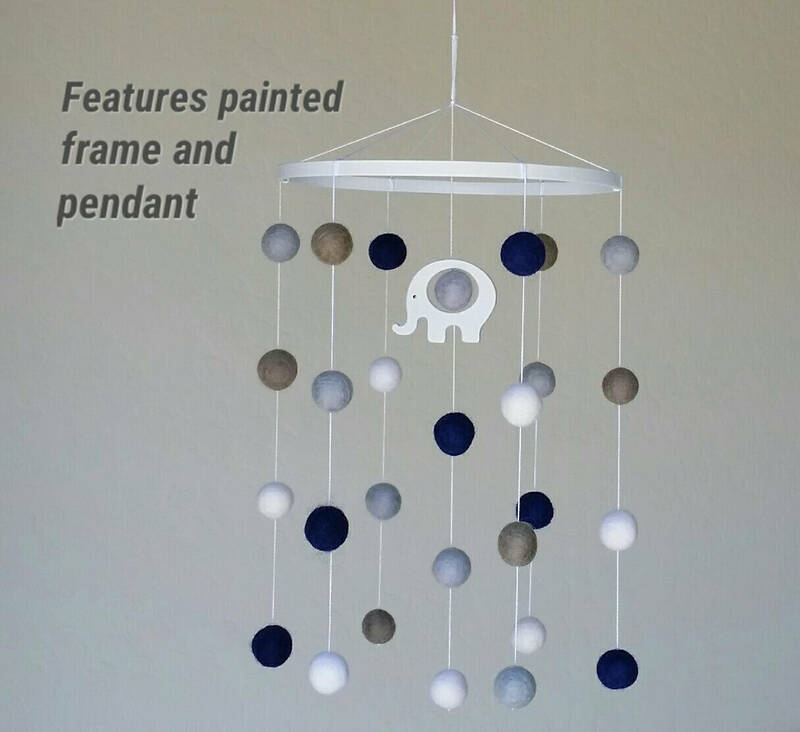 The mobile has a loop at the top and can hang from a hook in the ceiling. 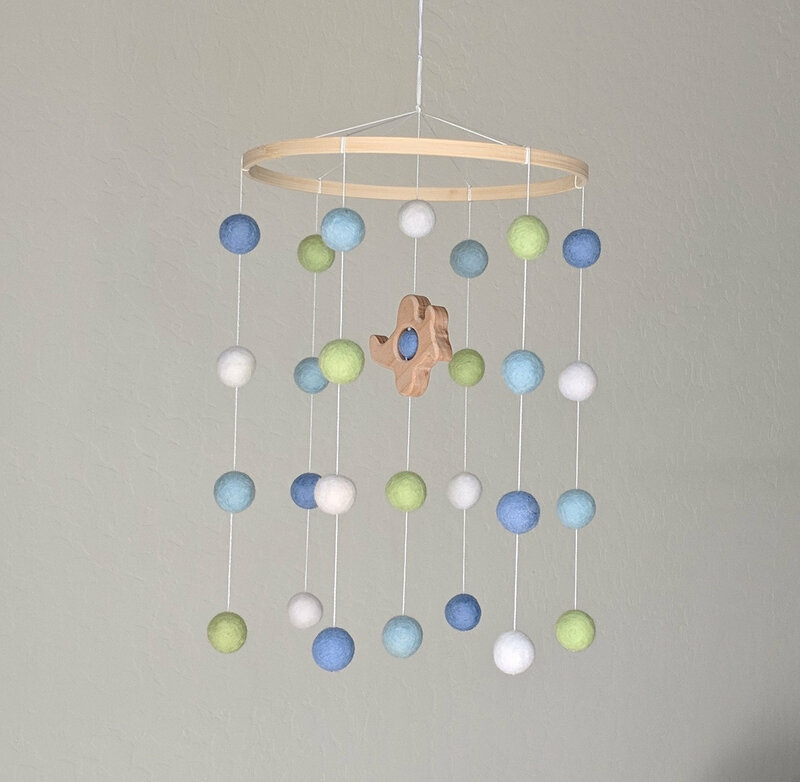 Let me know if you need it shorter to hang on a crib arm attachment. Please make sure that it is out of baby's reach (especially when your baby can sit up and pull up to a standing position in the crib; this can be a choking hazard). This item is made in my smoke-free home and will be ready to ship in about 7 days.